Strandhill: sea, sand, seagulls and surfers! Sometimes we need to get away from it all. I often feel that we underestimate greatly the need to be with ourselves more. We regularly admit that we have no time to think. We find ourselves rushing to the next thing or wondering about the last thing. It’s as if we are merely passengers on the train of life. Many people openly admit that they do not have time for themselves. This in essence means that we do not have time to think. That cannot be good for you. I often head west. Sligo holds an affinity with me ever since I worked there in the 1980’s as a teacher. It was one year in my life but a very exciting one at that. My first job introduced me to Yeats’ country. It also saw me purchase my first car. Indeed, it proved to be one of the happiest years of my life. It left its mark on me. A different province, difference accents and a very difference landscape. We walked the beaches of Rosses Point and Strandhill daily. My home county Monaghan is inland and full of drumlins. 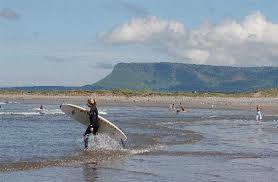 It has its own beauty but Sligo is on the edge. It has sand, sea and seagulls. I fell in love with the ocean. Rackhouse Pilfer: They have just launched their latest CD ‘Love and havoc’. Brilliant. Often I sneak off to Sligo. Usually it’s when I have been working very hard or find the stresses of life creeping up on me. 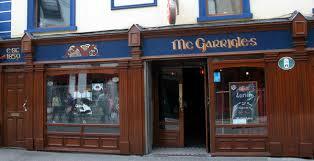 Mondays are special because I like music and Rackhouse Pilfer play in McGarrigles on O’Connell Street. Around six o’clock sees me driving into the town that has Ben Bulben reach out to me like a welcoming mother. A quick spin out to Strandhill and I pay homage to the wild seas with a brisk walk. The cold breeze helps work up an appetite. 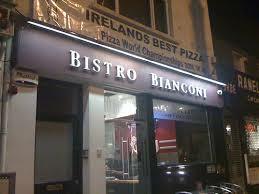 Bistro Bianconi offers lovely pasta and pizza and is walking distance to the music. It also has a great atmosphere. Mood instantly lifts. 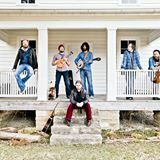 The band play their American bluegrass tinged music every week at that venue. They have built their own cult following over the past two years and the pub fills up very quickly. I like to position myself with a good view and a pint of the black stuff in my hand around nine. Next morning sees me in Lyons coffee shop in the town. As a special (and rare) treat I enjoy the best-cooked breakfast in the country. A window seat allows me monitor the town as it comes to life. A stroll through the book and music shops and a pensive tour of the latest art exhibition at the Model complete the morning. Then thoughts of returning home swirl around my head. Is there time for a quick cappuccino in Shells at Strandhill? Let me let you in on a secret – if you ever see me out there on a weekday sipping a frothy mug after noon – it means that I’ve taken the day off! Don’t tell anyone! It just means that I’ve taken a day from my busy schedule for myself. I highly recommend such behaviour. We all need to get away from it all. We all need to hear ourselves think.